Responsive and Parallax? You Can Have It All! Sometimes we come across sites that are really cool and just like to share those with our clients and the world. 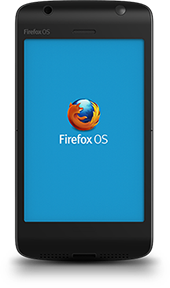 Firefox’s site for the announcement of their smartphone is a great combination of Parallax Scrolling and Responsive Web Design (RWD). Check it out at www.mozilla.org/en-US/firefox/os/. In Parallax scrolling the site is essentially one long page and gives the effect of depth. With this technique, the background moves at a slower rate than the foreground. It’s not for every site, but we’ve found it useful to apply to ones with limited content. It creates a different user experience by keeping them on one page and engaged with the “movement”. RWD is becoming mainstream in web development as it eliminates the need for a web app. With this technique, sites are adaptable to their viewing environment – adjusting seamlessly from desktop, to your tablet to a smartphone. If you take your browser and make your window smaller, you’ll notice that the content and graphics adjust to the size of the window. Pretty neat, huh? Martini Creative is custom web design and development agency. We offer all options when working with clients and obviously, the more features, the more expensive the site. However, if you do it right the first time, you won’t spend money in the future re-doing it. More often then not, your website is your first point of interaction with a potential customer and the usability could make or break you.